"From the beginning to the end, soup to nuts, (Leon) added the level of professionalism and knowledge to complete the sale." "My sale required a unique buyer for my business operation. Leon Parker did not give up searching...he went out of his way to answer all their questions." "Gilbert was a real pro. He managed us both, the buyer and seller with precision, knowledge, and humor." "Working with Gilbert Oriol of N.H. Business Sales was a great experience. He was very helpful throughout the entire selling process." "If you ever come across anyone that isn't sure that you're the right person to sell their property, give them my number..."
"We were impressed by their professionalism. With their guidance, we were able to have a speedy sale and are now enjoying our quieter lifestyle." Buying an existing NH business may be a better option than starting from scratch. Established businesses often have what is needed already in place. Most importantly, the right purchase can get you income on day one – something you don’t get by starting from scratch. Our inventory of listings provides a wide variety of attractive and reasonable purchasing opportunities. Would you let just anybody run your business? Why should selling your business be different? After years of building a successful business, it’s often difficult for an owner to transfer the reins to just anyone. Smart business owners seek the expertise of NHBS. We're experts at determining value, marketing, regulations, avoiding costly pitfalls, and protecting your interests. New Hampshire Business Sales, Inc., is New Hampshire’s premier statewide business brokerage. NHBS has assisted hundreds of owners of privately-held NH businesses in valuing, marketing, and selling their businesses since 1976. 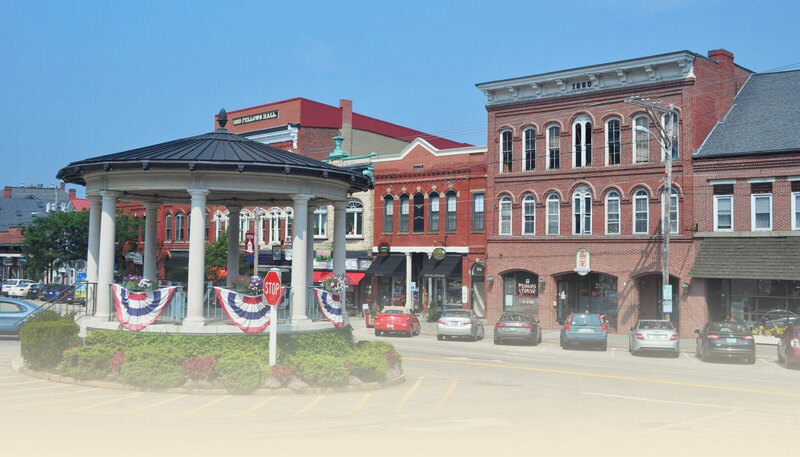 New Hampshire Business Sales, Inc. is a group of experienced business professionals dedicated to maximizing the value of and selling, small to mid-size, privately-held, business and commercial property interests throughout New Hampshire. Our specialty is business brokerage, and our focus is on selling businesses and the property related to those businesses. We can determine business value, market your business to potential buyers, follow regulations, avoid costly pitfalls, and ultimately, successfully sell your business while keeping your best interest’s a priority. We also sell commercial and development property. NHBS serves as an intermediary in the transfer of businesses and commercial real estate. After years of building a successful business, it’s often difficult for an owner to transfer the reins to just anyone. The selling process involves a broad range of issues, regulations, and potential problems. NHBS’s knowledge and experience in these areas as well as in conducting a confidential selling process are invaluable. Protect your investment. Let an experienced business broker help you sell your business with confidence. With Associates’ offices located throughout the state, NHBS is well positioned to effectively serve NH business owners. Providing high-quality services to our clients is of extreme importance. To be successful in this endeavor, we believe that the following items are most important within our firm…Integrity, Hard Work, Professional Competence, Cooperation, and Accountability. Contact us today.